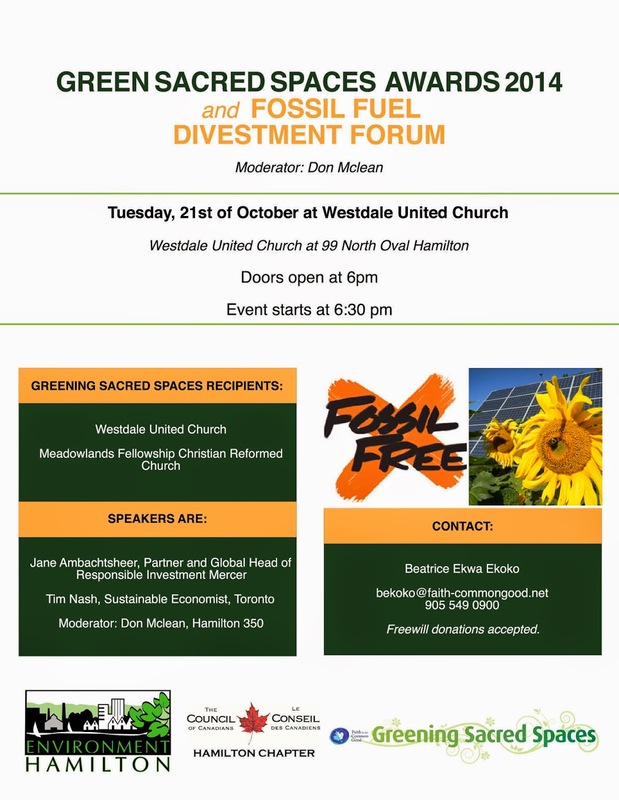 Tuesday, 21st of October at Westdale United Church (99 North Oval, Hamilton). Labels: GSS awards 2014. Divestment forum.